Are you telling me that I can get my own customized Hulkbuster action figure from the new Avengers 2 movie printed out?’ this scribe thought to himself as Farrukh Bhabha, CEO of Print3D, talked of his passion for robotics and 3d printing in general. But where did this urge to build things come from for one of Pakistan’s most innovative entrepreneurs? Farrukh’s company is just a handful of the entrants in the Pakistani 3D printing landscape, a technology with tremendous potential to change industries and processes. As it happens, Farrukh Bhabha was always fascinated with LEGO sets and robotics, in building blocks of all sorts and how to assemble them. This fascination with creating and constructing objects by sheer force of human imagination alone, Farrukh, after graduating from SZABIST, started interning at a company that specialized in 3d printers abroad. He learnt many of the tricks of the trade, as an idea began to form in his mind. Farrukh wasn’t going to become a casualty of the brain-drain that afflicted his home country but rather, he set his sights closer to home. This need compelled the entrepreneur in Farrukh to establish a 3D printing startup for Pakistani consumers, businesses and everyone in between, taking advantage of a clear lack of 3d printing services in Pakistan itself. Farukh credits the support of his parents, Dr. Imran Amin (HOD, SZABIST) and Syed Ali Ahsan who pushed him to develop this venture. Looking for a hard-to-find spare part? Why not print it out? It all started in March 2014 according to Farrukh. 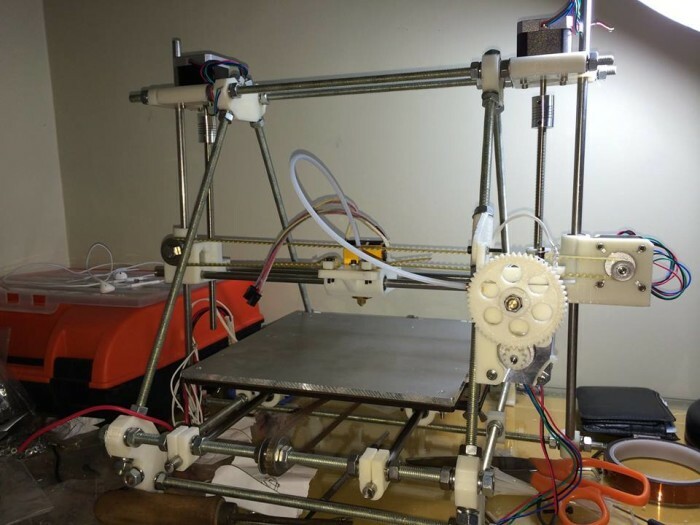 After debuting a customized 3D printer and its applications in SZABIST with his group member, Farrukh decided that the technology did have a future in Pakistan. Soon afterwards, he began work on developing a more commercially viable version of the printer. 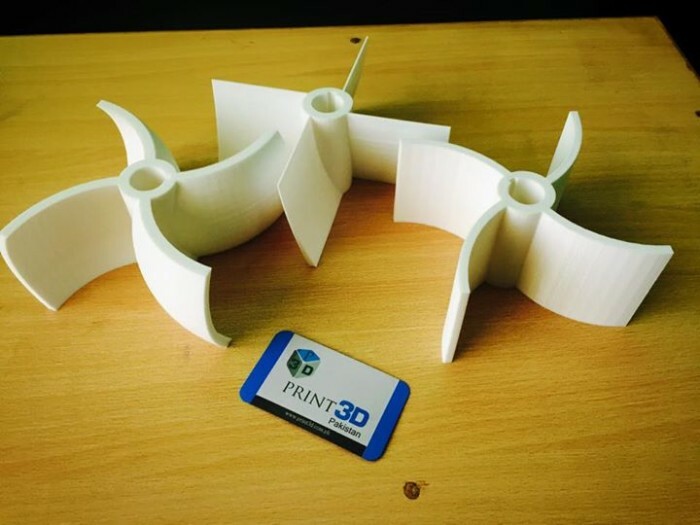 His venture, Print 3D was born and Pakistan got its first homegrown 3d printing services company as a result. The company caught the eye of the folks at Microsoft Incubator at SOFTCOM ’14. Print 3d won the first position out of 8 teams there and this impressed the judges from Microsoft Pakistan so much that they offered Farrukh’s startup to become part of Microsoft Pakistan. The company enjoyed a lot of positive press as a result of this, but Farrukh wasn’t someone to rest on the laurels. So how does Print 3D work? Farrukh says it’s pretty simple actually. People can either submit their custom designs and they make a CAD (computer-aided design) model so that the most detailed and polished model is printed out. 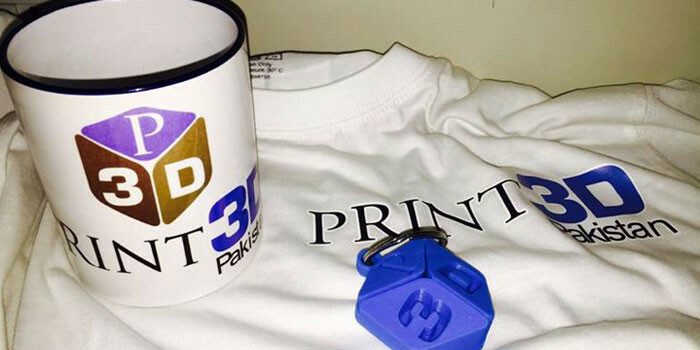 For skeptical Pakistani consumers there’s good news too as Print 3D delivers all over Pakistan. What’s most important is that the company offers to replace the model if it has been damaged during transit absolutely free of cost. The company is making all out efforts to provide quality products backed by superior customer service. Geeks of the world unite! 3D printing is coming. According to the CEO of Print 3D, the Pakistani marketplace is crazy for customized DIY arts and crafts stuff. The trouble was that the raw materials used to craft them such as wood, metal, etc. were too exorbitant themselves. 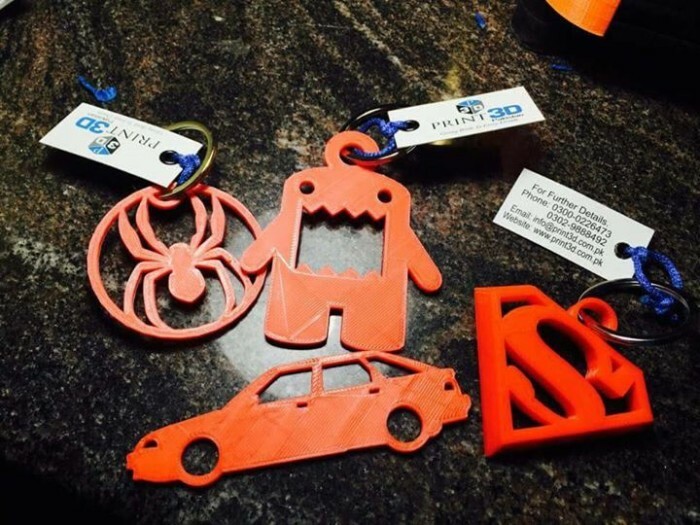 Print 3D saw an opportunity to make customized items and that too at a fraction of the cost by using plastic filament and others based on the purpose and requirement behind them. ‘We are also launching same day delivery for Karachi users as we are receiving big amount of orders for Karachi,’ Farrukh remarked, as a nod to how great the response has been in Pakistan. The company is constantly on the move to become better. They have a mobile app planned, one that makes anyone design their CAD models and send them over to Print 3D for swift printouts. ‘Pakistan is full of talented people, they can change the thought process, and they can change the living lifestyle of the people. The only thing is that they don’t try because they are afraid of losing. My suggestion is to try despite all odds.